I love eccentric writers whose neuroses make me seem well-adjusted in comparison, and no writer — not one — was more neurotic than Fernando Pessoa. 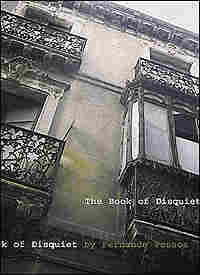 Pessoa's work The Book of Disquiet is one of life's great miracles. Even though every edition of the book lists Pessoa as the author, he didn't write it — one of his creations did. Pessoa invented numerous alter egos. Arguably, the four greatest poets in the Portuguese language were all Pessoa using different names. One invented writer was a doctor and classicist; a second was an unlettered genius, a paesano who lived in the country; a third was a naval engineer and bisexual dandy who traveled the world. The fourth was "Fernando Pessoa," another invention, according to the author. Each of Pessoa's writers was distinctive and different. He created poets who wrote in French and in English, one of whom wrote sonnets that were described by the Times of London as more Shakespearean than Shakespeare. Pessoa not only created poets; he also gave them their champions. He invented a prolific critic, whose writings in English promoted Portuguese literature. He didn't stop there. His creations critiqued each other. Pessoa invented short-story writers, translators, philosophers, an astrologer, a baron who committed suicide, and a hunchbacked, lovelorn woman by the name of Maria Jose — more than 72 creations, by some accounts. The poets themselves may have been Pessoa's best creation, but his greatest literary achievement is The Book of Disquiet. It is a "factless" autobiography, filled with observations, aphorisms, ruminations, haphazard musings, dreams, moods and the keenest revelation of an artist's soul. What makes this book — this fictional diary — transcendent is that it deals with the eternal quests: the meaning of life, of death; the existence of God, good and evil; the questions of love, reality, consciousness; and the disquiet of the soul. It quenches the thirsty mind and floods the arid heart. A book tells you quite a bit about its author; a great book tells you quite a bit about you. When I first encountered Disquiet, I felt like laundry — the book dunked me in pristine water, then battered and wrung me and hung me out to dry in sunshine, rejuvenated. I was forced to examine the choices I'd made, the beliefs I'd held, the loves I'd forsaken and the gods I'd worshipped. The Book of Disquiet manuscript, as well as most of Pessoa's work, was found in a trunk after his death — he hardly published anything while alive. Pessoa, the man, was a bookkeeper. A loner. He had no friends, no loves, no family. 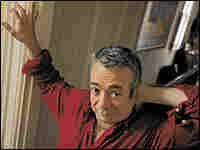 He lived most of his life in a single room in Lisbon; his literary alter egos, and their writings, his only companions. He died in obscurity, a recluse, in 1935. The Book of Disquiet tells you the truth and comforts you. It enfolds you. Pessoa might have died a recluse, but if you read his book, he'll be your good friend. He certainly is mine. In Lisbon there are a few restaurants or eating houses located above decent-looking taverns, places with the heavy, domestic look of restaurants in towns far from any rail line. These second-story eateries, usually empty except on Sundays, frequently contain curious types whose faces are not interesting but who constitute a series of digressions from life. During a certain period of my life, a desire for peace and low prices made me a regular at one of these second-story restaurants. It happened that when I would come in to eat at around seven o'clock, I would almost always see an individual whose appearance at first did not interest me but little by little did begin to interest me. He looked about thirty, thin, rather above average height, exaggeratedly bent over when seated but less so when he stood up, dressed with a certain negligence, which was not entirely negligence. On his pale, uninteresting face an air of suffering did not stir interest, although it was difficult to define what kind of suffering that air suggested — it seemed to suggest several kinds: privation, anguish, and a suffering born from the indifference of having suffered a great deal. He always ate little and ended his meal by rolling a cigarette. He took extraordinary notice of the people around him, not out of suspicion but out of special interest. He didn't observe them as if he were scrutinizing them, but as if he were taking an interest in them without wanting to memorize their faces or the details of their appearance. That curious trait first attracted my attention. I moved to see him better. I confirmed the fact that a certain air of intelligence animated his features in an uncertain way. But the depression, the stagnation of cold anguish, covered his face so often it was difficult to see any other trait except that. I found out by accident from one of the waiters that he worked in an office nearby. One day there was a disturbance in the street, right below the windows — a fist fight between two men. The people in the restaurant ran to the windows, I and the man I'm talking about with them. I made some offhand remark, and he responded in the same tone. His voice was colorless and tremulous, like the voices of children who hope for nothing because it is perfectly useless to hope. Perhaps it's absurd to go into such detail about my evening restaurant colleague. I don't know why, but we started greeting each other from that day on. One day we were drawn together by the absurd circumstance of having arrived at the restaurant to eat at nine-thirty, and we began a casual conversation. He asked me if I wrote. I answered that I did. I spoke to him about the magazine Orpheu, which had just come out. He praised it, praised it quite a lot, which really shocked me. I took the liberty of pointing out to him that I was surprised because Orpheu was only supposed to appeal to a select few. He said that perhaps he was one of them. Besides, he added, that kind of writing was not new to him. And he timidly pointed out that since he had no place to go, nothing to do, no friends to visit, or interest in books, he too usually spent his nights in his furnished room writing. Excerpted from The Book of Disquiet by Fernando Pessoa. Copyright 2004 by Fernando Pessoa. Excerpted by permission of Exact Change. All rights reserved.